Today schools favour multidisciplinarity and crossing the boundaries of individual subjects. Technology has also become an integral part of teaching and learning. A school that is constantly changing requires teachers not only to have skills in content and technology but also good interaction skills that guarantee appropriate guidance and high-quality learning. In the teaching of natural sciences and mathematics, technology offers opportunities to use dynamic representations through simulations and interactive mathematical software such as GeoGebra. These can be utilised in schools from primary right up to upper secondary level. 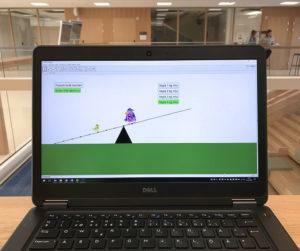 However, the use of simulations does not mean that the experimental study of phenomena with measuring devices or more commonplace tools in classrooms or other environments will be ignored. On the contrary: studies show that you learn most efficiently when both the simulation and the physical examination of a phenomenon are combined in teaching. Simulations are helpful especially when learning about phenomena that are difficult to picture: evolution cannot be seen with the bare eyes because the timeline is too long, and the electrons of an electrical current are too small to be perceived by the senses. With the help of technology, learners can examine the phenomena using interactive methods. “Dynamic representations encourage students to think,” says Docent Markus Hähkiöniemi. “For example, when studying geometrical shapes, pupils can try various situations and edit the studied target as they wish. This encourages experimentation, which leads to new ideas and the observation of regularities. Even small children may have ideas the teacher has never thought about,” Hähkiöniemi says. As the character of teaching is changing, teacherhood must also change. Teachers no longer only produce information. Instead, they must be able to offer pupils something to examine. At the same time, they must be present and able to guide and support learning based on pupils’ own ideas. You might think that the use of applications would make teachers’ work easier, but the reality is almost exactly the opposite. Having an overall picture of the progress and work of a group of pupils is challenging and requires sensitivity from the teacher to recognise pupils’ different levels of thinking. 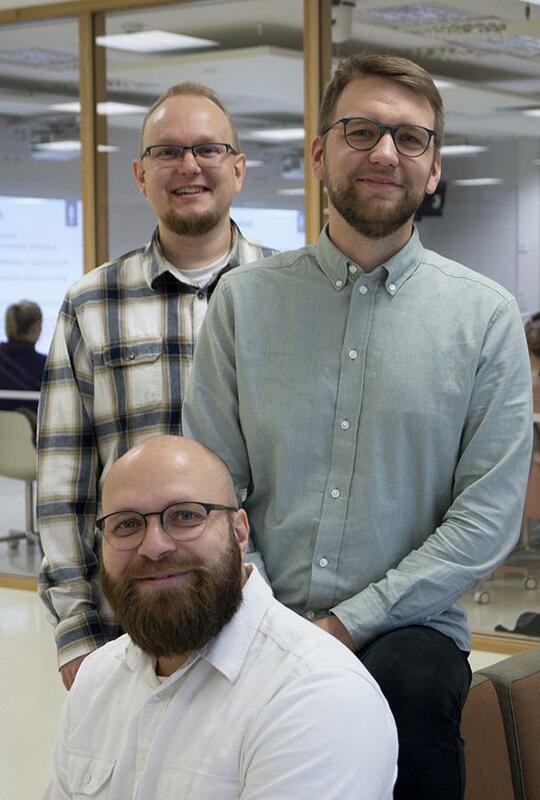 In the AdaptGuide academy project, which started in September, Hähkiöniemi, Senior Lecturer Pasi Nieminen and Postdoctoral Researcher Antti Lehtinen dig into the teacher’s role in an era of technology-supported learning. The project’s purpose is to study how pupils of various ages are able to work with dynamic exercises and how teachers can adapt their guidance to the situation and take pupils’ ages into account. The project, funded by the Academy of Finland, focuses on the interface of technological applications and interaction in a teaching situation. Although there are similar ideas of change in the teacher’s work in many fields, researchers think we still have a long way to go to reach a new teacherhood. In their previous projects, Hähkiöniemi and Nieminen have worked with working teachers and studied what kind of classroom interaction is useful for learning. Material for the project will be collected during the next two years from class teacher training as part of the teaching of pedagogics in mathematics and natural sciences. As the same teaching student conducts lessons for several age groups, it is possible to eliminate the impact of teachers’ personal differences with variables in the research material. “The project investigates the support of the teacher and the learning environment in small group situations,” says Postdoctoral Researcher Antti Lehtinen. “Using the same teaching students and the same learning environments, we can better focus on teachers’ opportunity to adjust their teaching according to pupils’ actions and ideas. This research setting is also unique internationally,” he says. The four-year Academy of Finland project will continue until August 2022.